Schumi0101: The ‘Raja’hamsa ride to Bangalore. The ‘Raja’hamsa ride to Bangalore. The bags were packed again and Bangalore was calling back. I booked the first bus out of Hubli at 19:30 and was all set to return back home early. 19:15- Hubli New Bus stand. With another 15 minutes left, I huffed and puffed my way to the bus stand dragging my luggage. The bus stand as usual was almost empty and calm with small pockets of passengers waiting for buses for their respective destinations. Finally, the bus makes its way into the bus stand however there was some confusion between the crew and the controller at the bus stand. I walked over towards the bus only to find the bus was the 20:30 Rajahamsa bus to Bangalore. I checked with the crew about my bus and I was told that my bus was being delayed at the depot. Reason- A brand new bus is being deployed and the necessary formalities were being finished. 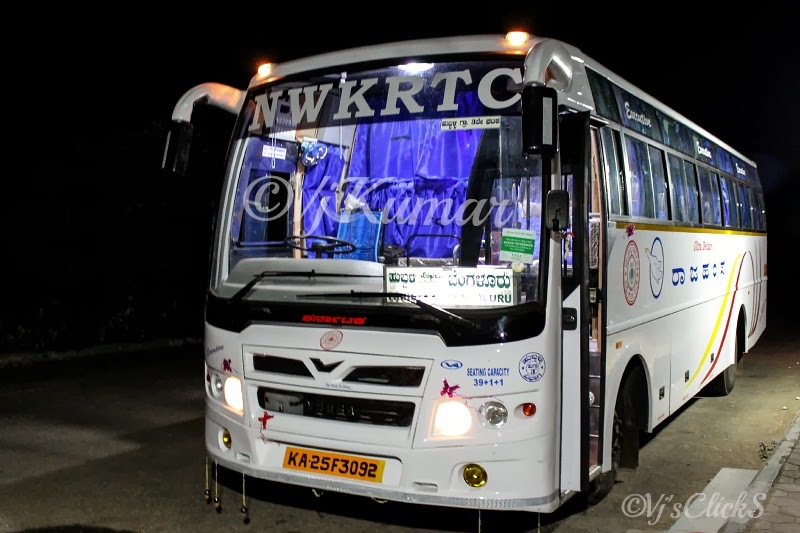 NWKRTC had recently added new Rajahamsa buses to their fleet and the bus that I was about to board was on her debut trip to Bangalore. The news was music to my ears and could hardly wait any longer. 20:15hrs- The moment finally arrived. The bus from Hubli Moffusil 3 depot finally arrived honking her way to the platform. The bus was gleaming under the moon light. Though the bus was running late by almost 45 minutes, none of the passengers who had reserved their seats had to complain. While the conductor asked the passengers to board the bus immediately, I was busy staring at the bus shining under the moonlight. After a quick walk around the bus, it was time to board the bus. 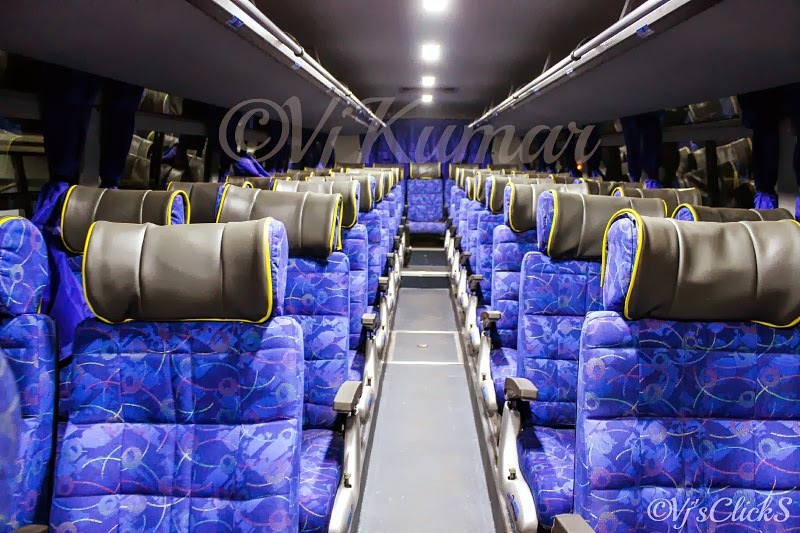 The smell of fresh paint, fresh linen on the seats, clean curtains welcomed the passengers. It was time for departure and the bus was the center of attraction as she finally made her way out of the bus stand and headed towards the Hubli Old bus stand. The conductor started receiving calls from anxious passengers about the whereabouts of the bus. He apologized for the delay and provided the exact location of the bus rather than giving a vague answer about its location. We reached Hubli Bus stand in no time and after picking up few more passengers, we began to head out. We joined the highway in no time however, the driver decided to keep the bus under 65kmph. The suspension of the bus was top class and the driver showed no urgency in reaching the destination and ensured the bus was driven as smoothly as possible. The comfort of the bus was enough to finally put me to sleep. The lights in the bus came on and it was dinner time. We pulled over at Kamat, Ranebennur. While, the hungry passengers made their way to grab a quick bite, I grabbed my camera and began clicking pictures of the bus. As always I had curious onlookers (passengers) watching me click the pictures. After a few clicks, I was ready for their questions. However, for my surprise even the passengers began taking the pictures of the bus from their cellphones. We resumed our journey after a brief halt and entered Davangere by around 23:40. After picking up few more passengers, we resumed our journey. The comfortable ride put me in deep slumber only to be woken up by the conductor when we reached Yeswanthpur. I requested the crew to drop me off near Rajajinagar entrance for which the crew obliged. We reached my drop off point in no time, thanks to the less traffic and were dropped off at Rajajinagar entrance at exactly 5:40am. Though I travel a little more than often on this route, this was the first time I took a Rajahamsa bus and I was not disappointed. Yes, we took almost 9hrs to reach our destination however, I have nothing to complain. Since it was a new bus on her debut run, the driver had to go easy. The bus was speed locked and the crew did everything possible to make up for the lost time. 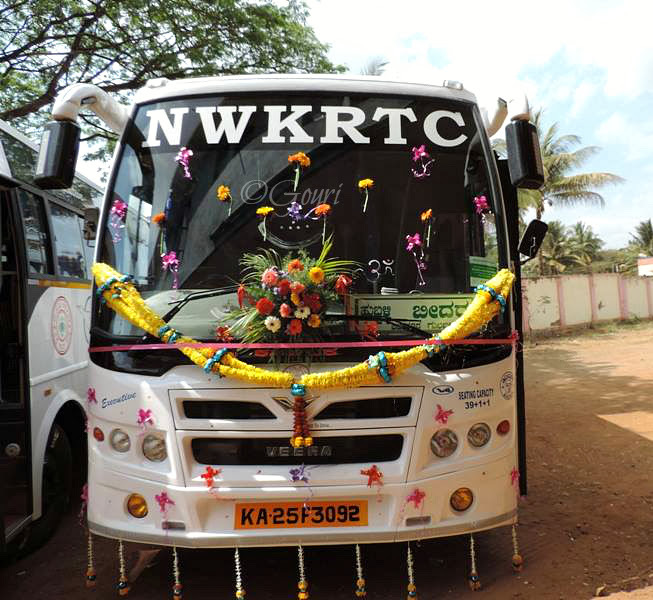 With the addition of new buses, courteous crew members, infrastructure and good passenger amenities, NWKRTC has begun to set its own standards which could give a tough competition to private operators. The service is a must try if you are a frequent traveler on this route. Thanks for the effective information. We are also providing Taxi Services in India then you can book through our website.